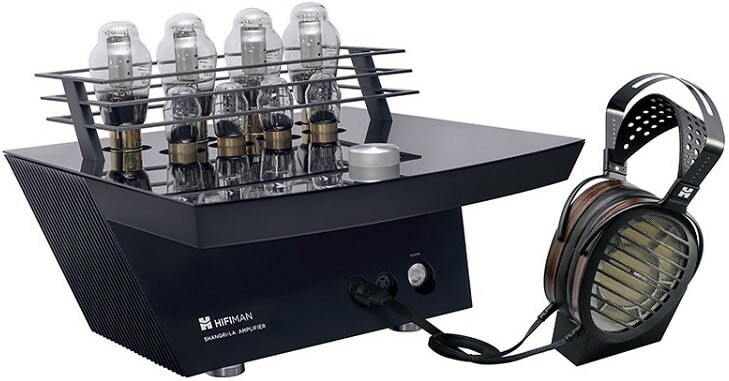 Shangri La Sr is HiFiMan's ultimate flagship Electrostatic Headphone Amplifier designed for the Matching headphones. Earn 27999 loyalty points when you order this item. 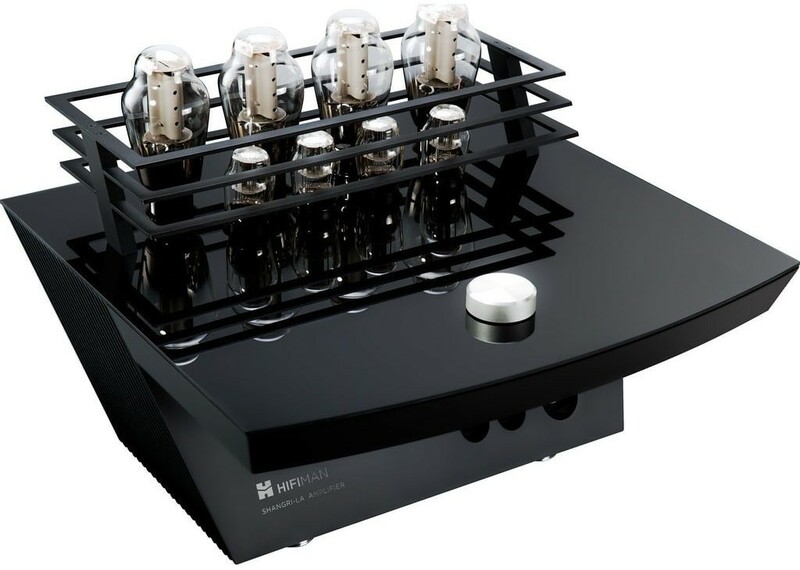 HiFi Man Shangri La Sr Electrostatic Headphone amplifier is designed to drive and complement the matching headphones of the same name. 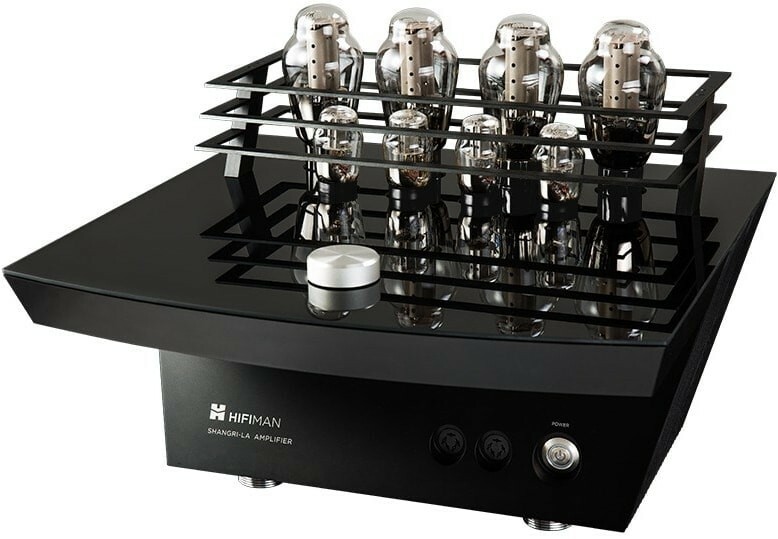 Incorporating four of HiFiMan's custom designed and built 300B Tubes as the warm pulse of the Shangri-La. The 300B tubes functions as the direct driving force with no capacitors or transformers between the tubes and your headphones. 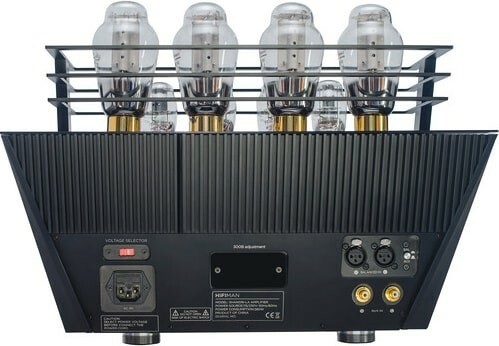 The enclosure is constructed of an aviation-grade aluminum alloy and topped with a contrasting tempered glass panel—is adorned with four 6SN7 vacuum tubes and four custom-made 300B tubes, which deliver warmth in tonality and consistent output power for the matched headphones. The distinguishable design of the Shangri-La's relay-based attenuator has a volume control consisting of 24 step level and featuring a total of 23 discrete resistors. Each volume stage being unique and independent. 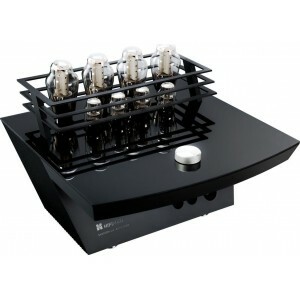 The result is pure and heavenly audio reproduction of your music. A switch on the rear-panel enables effortless selection of either stereo input balanced XLR 3-pin or unbalanced RCA coaxial. The chosen input is served through the internal circuitry and externally mounted tubes to the dual 5-pin female headphone outputs, permitting simultaneous linking of two pairs of Shangri-La Sr headphones. The headphones pictured are not provided with this product but can be purchased separately here.